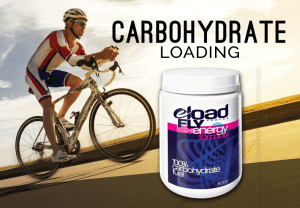 for Endurance Athletes since 2000. Save 10% and get a $10 off certificate by signing up for our newsletter below. Perform at your best everyday. Recover with what your body needs. You keep me and my clients optimally fueled, with no gastrointestinal issues, with awesome electrolyte replenishment and flavor. The real thing. Good hydration and taste backed by good science. That’s why I love Eload Recovery Formula! I had been suffering from stomach bloating and cramps on all my long runs. For one month I did a trial…I ditched all of my other endurance fuels and just stuck with Eload Energy Gel and Eload Zone Caps. Wella! The stomach gas, bloating, and cramping disappeared. Thank you so much! My tummy is forever grateful and I love the fact you don’t use fake flavors or sweeteners in any of your products. The product is fabulous. I took the recommended dose of Zone Caps supplements during and after my 93-mile ride and the results were startling. At the completion of the ride I did not experience my usual fatigue and excessive accumulation of lactic acid. My appetite was normal and I did not feel particularly tired the next day. Your product was working well for me. I will definitely use it in the future. Thank you.